This collection of images comes from Portsmouth’s North End, circa 1967. It is the area bordered by Market, High, Congress, Bridge, Maplewood, and Russell Street. This area was re-developed during the 1960’s as part of a Federally funded Urban Renewal movement that followed World War II. Primarily an Italian neighborhood, approximately 176 inhabited homes and active businesses were documented prior to removal. Approximately one dozen buildings - some dating back to the 1700s - were saved and converted to office, restaurant and retail space on what is currently known as the “The Hill”. In addition, several buildings were moved to the Strawbery Banke Museum grounds (www.strawberybanke.org). As part of the Urban Renewal Process, and to make way for demolition and compensation to deed holders, each property was documented; photographed, surveyed, assessed, researched, and reported upon in a booklet format. The Portsmouth Public Library’s Special Collections currently houses these “Appraisal Report and Valuation Analysis” booklets. Each booklet represents a property that no longer exists. Included were homes and businesses on Bridge, Congress, Deer, Hanover, High, Hill, Jackson, Maplewood, Market, Russell, School, Vaughan and Wall Streets, Raitts Court, and Raynes Avenue. 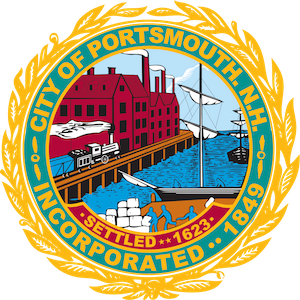 This collection of documentation is a valuable historic resource to the Portsmouth community. Many current Portsmouth residents, whose families and businesses were displaced during the Urban Renewal project, still visit the Special Collections of the Library to look at this collection, reminisce, and gather images of their childhood neighborhood. By creating this digital archive, the staff of the Portsmouth Public Library hopes to offer easier and more comprehensive access to this important collection; fostering a community history project that may add context to this collection. In addition, for images of residents and families from this area of the city, visit the North End Neighborhood Collection at the Portsmouth Athenaeum website, created in collaboration with members from the Seacoast Chapter of the Sons of Italy. Please see the Portsmouth Athenaeum for questions about their collection. If you have comments or memories you would like to share please feel free to do so in the comments section towards the bottom of each image page. If you have photos to share please contact the Special Collections, at nlcloutier@cityofportsmouth.com, or call 603-766-1725.